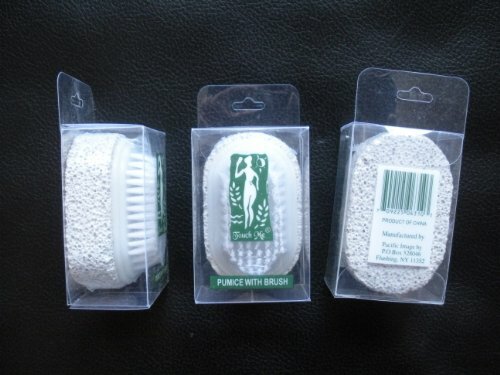 This dual-purpose product is a must have for daily treatment of your feet. Porous stone files away dead dry skin and smooths calluses while brush effectively clean nail bed. Size: 2.8" x 1.8" x 1.5"